A bargain bundle of 7 essential items to get you started. We surveyed almost 800 of our previous customers and when asked "what other items would you have liked to have offered with your new hutch" - the following 7 items came up over and over again. 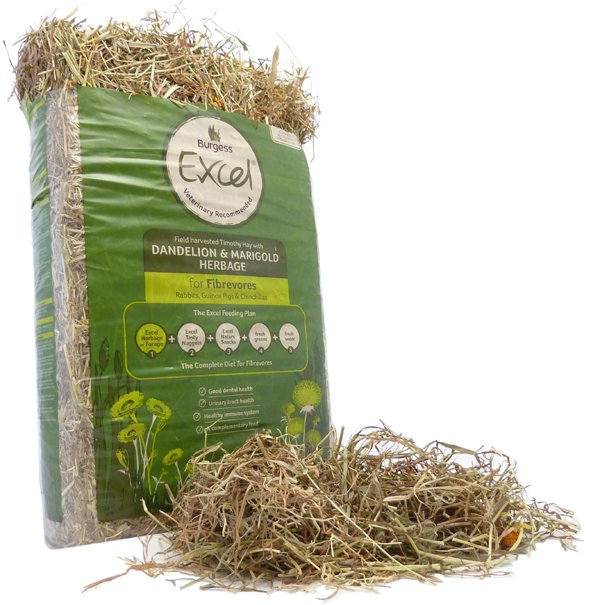 One of the most popular selling and delicious sources of dietary fibre for your pet rabbit or guinea pig. Veterinary recommended this sweet-smelling Timothy hay is consistently 5 star rated by owners. A real treat for your pet! 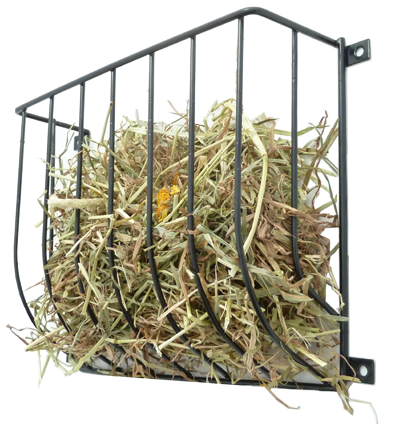 This large (size 22 x 16 x 6 cm) sturdy metal hay rack is easy to install and can be positioned at the height you want it inside your new hutch. It's a convenient way to keep hay dry and clean and prevent wastage. 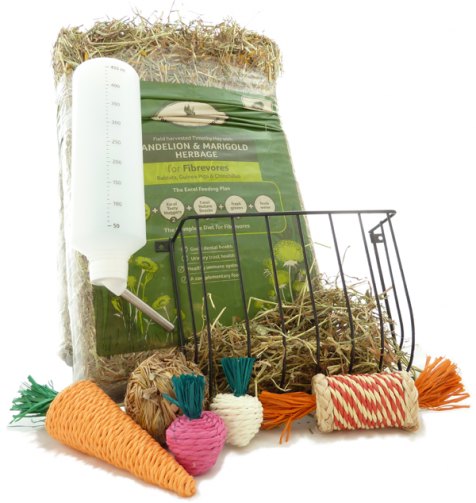 A strong and good quality hay manger and the perfect add on for your new hutch! 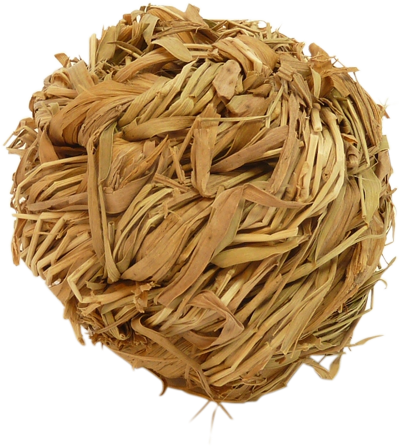 A fun toss toy for your rabbit or guinea pig, with a tinkling bell to catch their attention.This grass ball is easy for your pet to grasp and toss about. The ball includes a small bell to catch their attention. 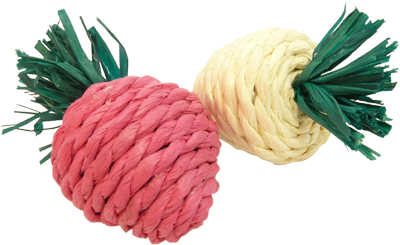 This 18cm sisal roll ensures hours of playing fun and constantly stirs up your pet’s playing instinct. Two colourful raddishes - your pet will love nibbling them and moving them around. This large sisal Carrot will ensure hours of playing fun and constantly stir up your pet's playing instinct.This carrot also has catnip included to encourage your pet to play. If you were to purchase these exact items from Amazon.co.uk or Pets @ Home then you'd most likely spend around £30. However, we have secured a special deal with the wholesalers so we can offer this bundle to you for the knockdown price of just £20!